From a distance, Ondřej could see that his grandfather was already outside the house, ready to start the work. His grandfather was wearing old pants a bit torn by the feet and an old leather belt on which all sorts of tools were hanging. “Ah! My grandson, I’m glad you’re helping me to repair this garden fence! But what do you have there, Ondra?” asked the grandpa. “Hmmm, good for what? Didn’t you have lunch with a dessert just a while ago?” asked the grandpa. Grandpa paused and placed his hammer back in one of the pockets of his belt and then said: “Food that brings you real energy is food that contains life inside”. Grandpa laughed so hard his whole body was shaking. What do cookies, ice-cream, chips and a chocolate bar share in common? Simply, they are all highly processed foods. Unlike an egg, which is unprocessed, or bread, which is moderately processed, items such as cookies, chips and chocolate bars are highly processed foods requiring a lot of preliminary steps to be made; and unless they are homemade, they are likely to contain added sugar, fat and salt to make the taste more appealing, or conservatives to prolong their shelf life. Along with bigger portions, highly processed foods are identified as a driver of the worrying increase of overweight and obesity worldwide. In the last ten years, obesity has become the world’s number one health problem! One-third of adults in the world are overweight. While highly processed foods cause health concerns, they are also problematic from an environmental perspective. Baking, frying, drying and freezing are all processing methods requiring a lot of energy. 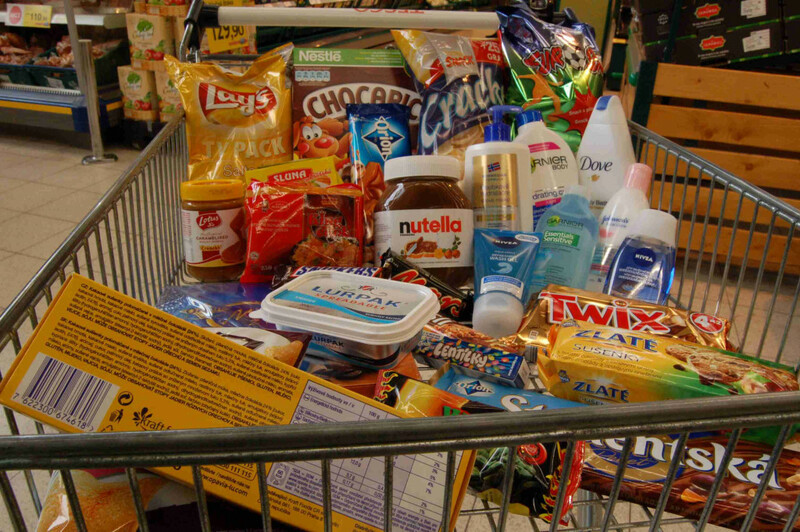 Processed foods are thus much more resource-intensive than plain foods like veggies, fruits and eggs. Another common trait of these foods is that they are all very likely to contain palm oil. It is estimated that that this vegetable oil is found in 50% of all packaged processed goods in your local supermarkets and shops, including food but also cosmetics, cleaning agents, animal food and even motor fuels. 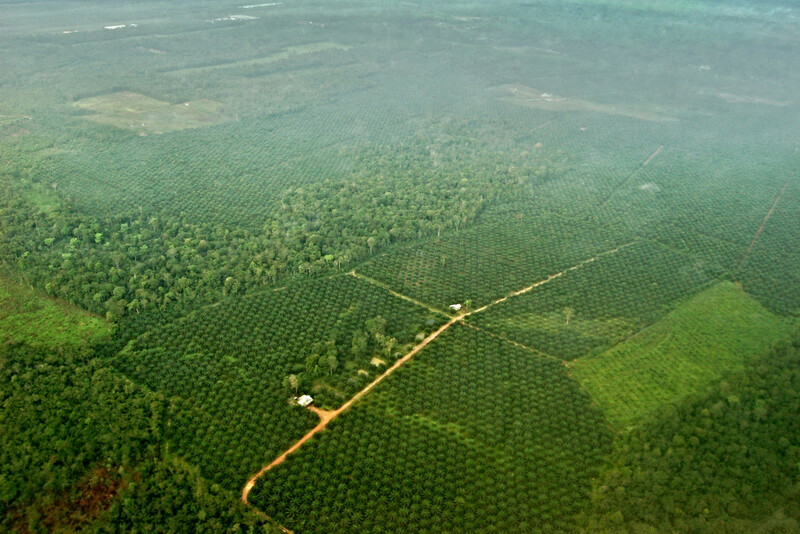 Most of the production of palm oil comes from Indonesia and Malaysia, where huge areas of rain forests and peatlands have been replaced by large-scale palm plantations. 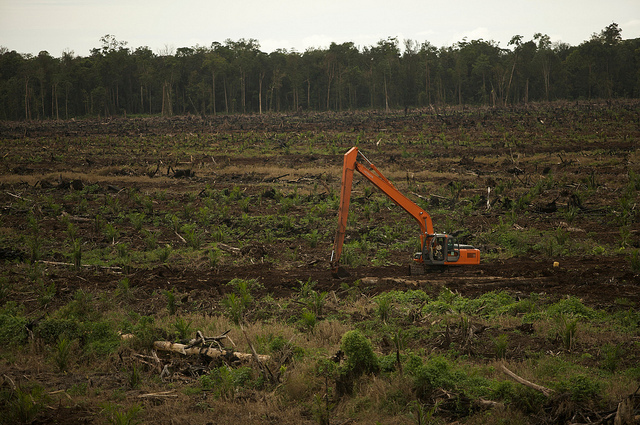 As a result, palm oil is directly linked with the disappearance of precious ecosystems and with the remaining indigenous tribes losing their traditional way of life and means of livelihood.